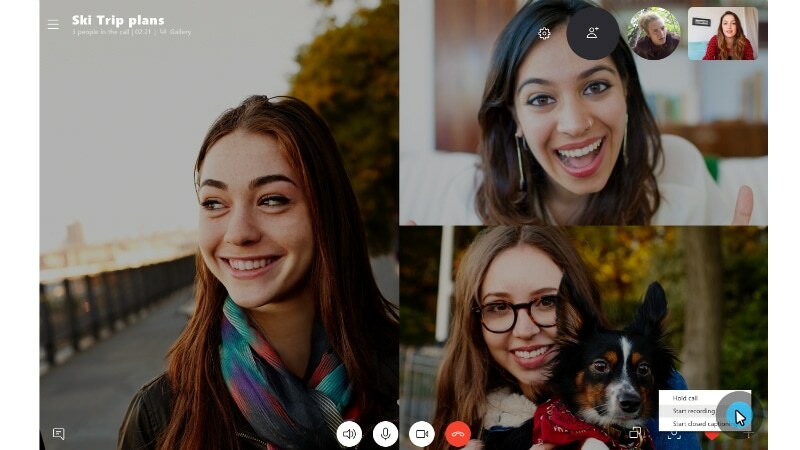 With a view to making things difficult for Google Duo and Apple's FaceTime, Microsoft has upgraded Skype by adding the eagerly anticipated call recording functionality. The new development is a part of the latest version of Skype and available on all supported platforms except Windows 10. Users on Windows 10 will need to wait for sometime to avail call recording on their desktops and notebooks as Microsoft is set to bring the cloud-based feature "in the coming months." The Redmond company back in April announced the arrival of call recording on Skype through the 'Content Creator' mode on Windows 10 and Mac devices. In July, the Skype team revealed that Android and iOS devices will get the advanced functionality, though it didn't make its way until the fresh announcement. "Today, we're introducing call recording to help capture special moments in a Skype call with your loved ones or record important meetings with your colleagues," the Skype team wrote in a blog post. To start recording calls on the Mac-based desktop, you need to click the "+" sign and then select the Start recording option. On mobile devices running Android or iOS, you can begin the recording by tapping the "+" sign and then selecting the Start recording button. Skype will show a banner on your screen to let everyone in the video call know that you've started recording the conversation. To save the recorded Skype calls, click the three-dot More options button from your chat and then select Save to Downloads option. This helps you save your recorded calls directly to the downloads folder. Alternatively, you can select the Save as option on your desktop and then navigate to the folder to save the recording to your specific destination. On mobile devices, you just need to tap and hold the recorded call in the chat and then tap Save from the pop-up menu. The recording will automatically download and save to your device's camera roll. Skype saves the recordings in MP4 format.